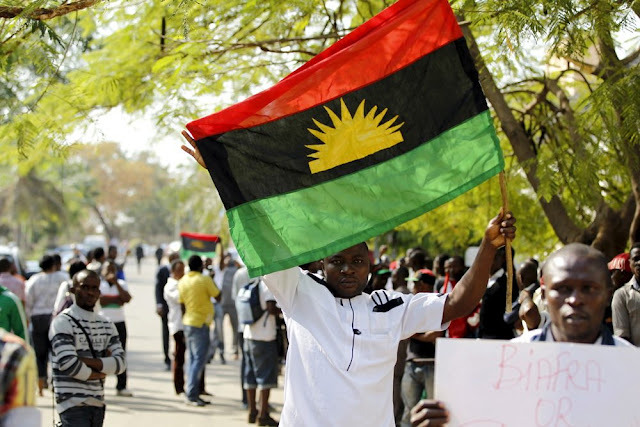 The African Commission on Human and People’s Rights has said that it was processing the complaints filed by the Indigenous People of Biafra (IPOB) against the Nigerian government. Disclosing this in a letter to IPOB’s Counsel, Mr. Alloy Ejimakor, the Commission said it would duly notify the group of developments on the matter. The letter dated December 27 and signed by the Secretary to the Commission, Dr. Mary Maboreke reads in part, “Your complaint filed against the Federal Republic of Nigeria dated 5th December, 2017 was received on 14 December, 2017 by the Secretariat of the African Commission on Human and People’s Rights (the Commission). Meanwhile, IPOB has commended the Commission for it’s prompt acknowledgement of the petition submitted to it. In a statement by IPOB Media and Publicity Secretary, Comrade Emma Powerful the group said, “This petition became necessary as a means to explore other legal remedies outside Nigeria given that due process of law is virtually non-existent in the country under the current Buhari administration. “Against the backdrop of well documented incidents of human rights abuses by the Nigerian Government and her security operatives, it has become necessary to escalate the matter to African Union given that both ECOWAS and Nigerian courts are terrified to rule against the Buhari regime in any matter concerning Biafra.